The need for uninterrupted connectivity has long been a requirement for government aviation. 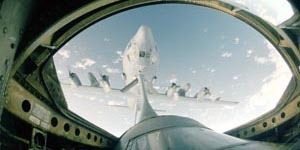 For today’s government and military aircraft, the demand for inflight connectivity at high data rates is growing rapidly, and high throughput satellite (HTS) connectivity has become an essential aspect of enabling the communication necessary to ensure the safety and success of government missions. Intelsat General’s FlexAir solution delivers a global Ku-band satellite network built around the latest HTS technology. Based on the IntelsatOne Flex platform, it is the first commercially offered Ku-band network maximized for the 45cm-equivalent antenna used by government aircraft, and it’s equipped to deliver up to 10 times the data throughput of other networks. Designed for aircraft with high-performance requirements, FlexAir delivers an affordable, flexible, secure and powerful way to stay connected. 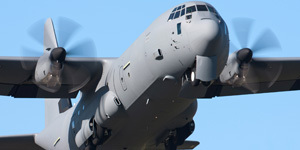 Want to learn more about addressing your government aviation needs? Our FlexAir Resource Center features helpful information about how we provide the speed, resiliency and reliability to fuel government missions. If you would like to discuss your requirements, contact our solutions team. Find out what to look for from a managed services provider to get the connectivity and reliability your government aircraft requires. 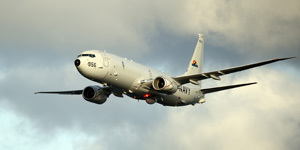 FlexAir is a global inflight connectivity service designed for aircraft with high-performance requirements. Deliver best-in-class service with FlexAir. Learn about Intelsat General's new global, high performance, and multi-layer service. 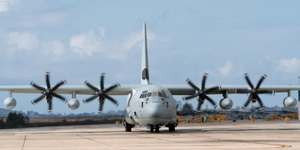 Learn more about Intelsat General's solution that delivers reliable inflight connectivity to government organizations as a complete, end-to-end global managed service. Break the barriers of inflight connectivity for government aircraft with FlexAir, a high-quality, uninterrupted satellite solution that supports your mission requirements. Body brownie sesame snaps candy canes. Wafer muffin powder chocolate bear claw bonbon pastry. Topping caramels carrot cake marshmallow soufflé icing.